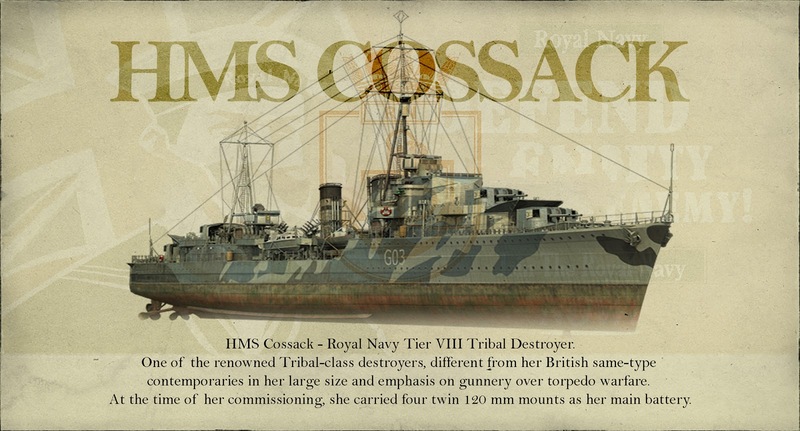 HMS Cossack - Royal Navy Tier VIII Tribal Destroyer. 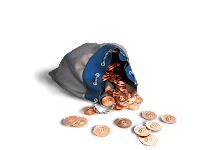 Doubloons: 9600. or equivalent in Currency from your region. Guineas: 50 (of which 48 can be earned in Royal Navy Directives). 4 X 2 120 mm/45 CPXIX. Maximum HE shell damage: 1700. HE initial velocity: 808 m/s. Turning circle radius: 610 m.
Rudder shift time: 4.7 s.
Detectability after firing main guns in smoke: 2.48 km.